Through what I can only assume was a random cosmic alignment, I ended up on 2K Games’ press list. 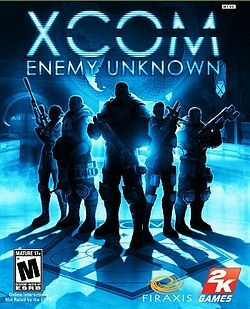 Therein I was invited to submit questions to a conference call with XCOM: Enemy Unknown’s Lead Developer Jake Solomon and Lead Producer Garth DeAngelis. While we still didn’t get an official translation the XCOM agency’s new motto, Vigilo Confido, the two gentlemen from Firaxis Games managed to raise my anticipation for this game up a few more notches. I’ve included the full audio of the call in this post, but for the benefit of those who need to know right now here is an executive summary. 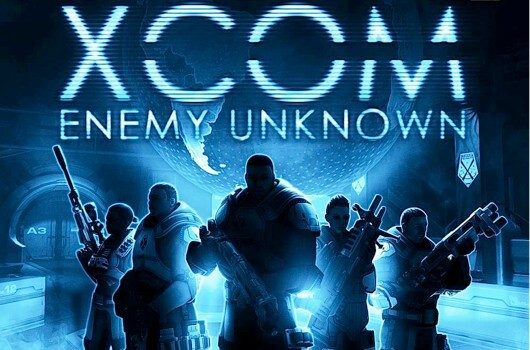 Anybody following the game’s development cycle knows that players will be limited to one supreme XCOM headquarters. However, Jake and Garth let slip that players will be able to build additional interceptor bases around the world toward the mid and end game. DeAngelis called the “ant farm” XCOM base “the real aesthetic for our strategy layer.” Expect to be able to do more with that than you ever could with the old X-Com base. Like the original Enemy Unknown some elements of the game will be randomly generated. Though the map pool for the tactical element will be fixed, locations and alien species in play on a given map will vary. Both Jake and Garth said they would be surprised if a player plays the same map twice in a single play through. Nothing particularly new came out on this front. Jake did specify that the key to success for XCOM field operatives is going to be complementing abilities and working as a team. Mr. Solomon also said that the game play was built with classic X-Com fans in mind. In fact, he specifically said that this game would not be happening without ongoing support from original X-Com fans. Jake and Garth played things a bit close to the chest on this point. Resource management seems as important as tactics for this aspect of the game. Jake did say that an individual XCOM operative upgraded to full power in multiplayer would be stronger than the strongest alien. Yet, the implication was that playing a round in multiplayer in this way would lead to a Die Hard situation. DeAngelis stressed that building the strategic layer was an exciting process on consoles and the PC. Both also admitted the PC has some advantages with respect to better graphics (no surprise there). If there is one takeaway message from this conference call it’s that Firaxis cares about making a game that is respectful to the tone and design concepts of the original game. As a gamer who lost many a night’s sleep to the original Enemy Unknown and its sequel Terror from the Deep this makes me very happy. Have a listen to the full conversation below if you’d like to know more.